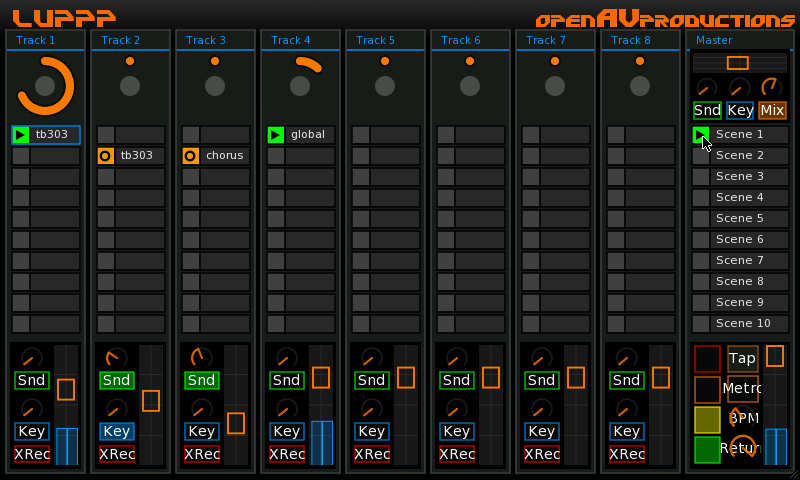 Luppp is a live performance tool. 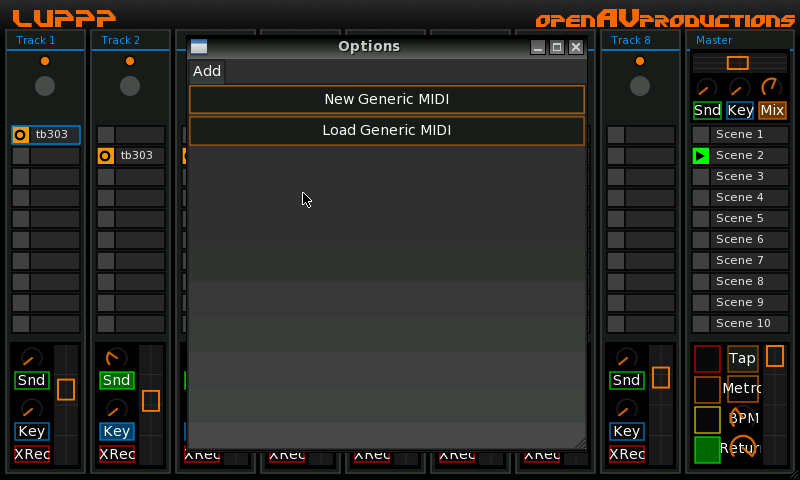 It features NSM, ArtyFX, JACK integration and poweful MIDI binding. - QjackCtl or jackd needs Frames/Period 4096 and Periods/Buffer 6, to be able to play 2 samples without cracks. 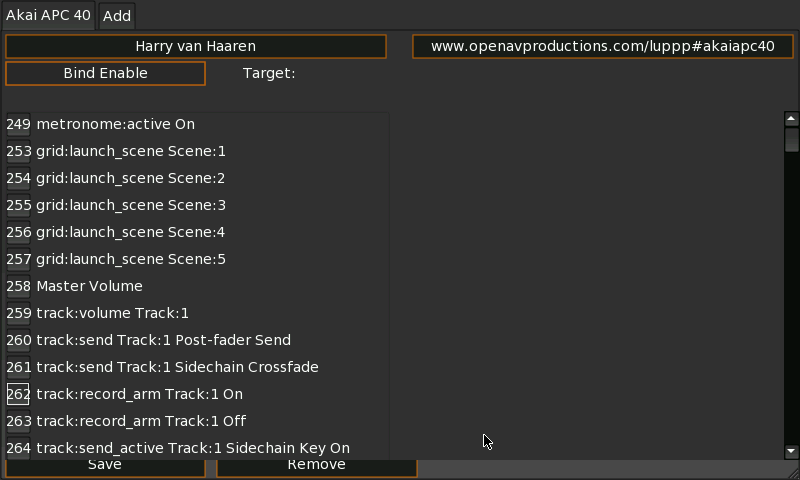 More optimizations coming soon. - Compiled with jack 0.121.3 version, with jack-session and jack-latency support. - Now you can play 2 samples with default QjackCtl config (Frames/Period 512 and Periods/Buffer 2). - Updated libs, compatible with JACK2 self-contained on latest QjackCtl PND. Do you have QjackCtl installed and running? Instant segfault on startup. Rebirth pandora, SuperZaxxon v. 1.60.